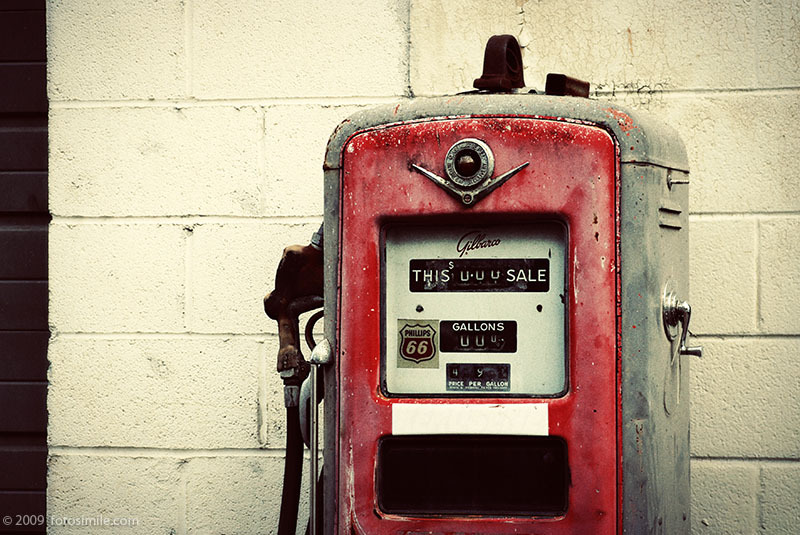 I stumbled onto this forsaken gas pump last year as it stood sentinel in an out-of-the-way service station. The Waynesville, NC establishment fortunately repaired my friend's tire and thus saved the day for more interesting pursuits, such as exploring. I nabbed this and other shots of similarly-discarded items while waiting . . . what else does one do when your camera is in hand and you are killing time? And of course, a subject such as this almost demands a vintage post-processing treatment! Judging by the vintage of the Phillips emblem, this must be an early-60’s pump and worth a few thousand dollars to a collector. Stuff like this makes me want to travel that historic Route 66 . . but I guess I never will. Very apt post-process.